The Forest Hill Society opposed a planning application from Berkeley Homes to change 10 of the two bed apartments into 14 1 bed apartments in the Forest Hill Central development. This proposal would have doubled the number of 1 bed apartments (of which we have seen many built in Forest Hill area in the recent years), and reduce the number of 2 bed apartments. The council planning department had recommended accepting this change in the development but the planning committee considered the application and the objections from the Forest Hill Society and decided to refuse this planning application. Hopefully now Berkeley Homes will reduce the price of the apartments to a price more appropriate to the market in Forest Hill. £395,000 for a two bed apartment (even a very nice newly built apartment) is much higher than similar properties in Forest Hill and with prices expected to fall in the next year they cannot justify asking such amounts for these new flats. Our thanks to the committee for their careful consideration of this application and reaching the right decision for Forest Hill. Councillor Chris Best (Chair) opened the meeting addressing both Sydenham and Forest Hill Societies indicating Lewisham Council's displeasure at misinformation on both town websites and stating that Lewisham Council was committed to no decision to demolish present Victorian buildings until initial design work for a rebuild had been agreed by Mayor and Cabinet – at the end of the meeting it was agreed that the earliest likely decision would not be taken until the September Mayor and Cabinet meeting. A representative from HLM architects was introduced and he ran through the process that HLM had used for designing a new pools/leisure centre at Forest Hill. HLM’s intentions were to create a sense of place respecting the Library setting and the relationship any new building would have on the Library. This would be a high visibility site and sensitivity would be required. They were aware of the historic importance of the site. The presentation of the three options began with a statement about commonality. The entrance of all options would face the Town centre, not Dartmouth Road and there would be an approach cut through the grass area in front of Salcombe House to form a green linear path. There would be a public amenity space/square in front of the entrance. The service strategy for the pools would be from Thorpewood Avenue. 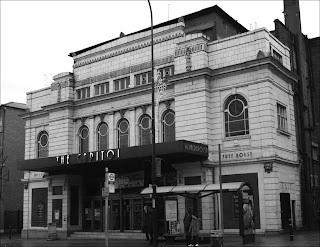 This building would have the main entrance and foyer in the direction of the station, with a green approach and new public space. The frontage would sweep round to end in line with the library. The pools would be at the front of the building, with changing and access to dry facilities kept separate. Although two storeys, it would be low rise and not go above the lines of the existing housing behind in Derby Hill Crescent. This building would have a similar footprint to Option 2, but with several (up to 7) storeys of housing on the Dartmouth Road side over the foyer area. Also significantly increased community space over 2 storeys at the front, with the possibility of another entrance/access to the library at the corner where the two frontages meet. Housing over the leisure centre foyer: 7 storeys could well be overpowering, the road is fairly narrow there so would impinge uopn the shops and residences opposite. Reply: is intended to be a bit narrow to make a “gateway”. Hilary: but if this is a gateway to Forest Hill it puts the library outside! The building seems to “turn its back” on the library. Other comment: why do we need a gateway? Architects like “iconic” buildings, and there was some discussion as to whether that was what the people of Forest Hill would want. Is 7 storyes too much? Would it make the leisure centre subservient to the residential aspects? Use of the community space: the architects said they were deliberately being vage and nonprescrpitive about this. The space could contatin what we wanted. Pat Trembath mentioned the need for fairly large meetings rooms in FH. Chris Best agreed we need a room that would accommodate about 100. The studio space might be flexiable, and perhaps could be used for meetings too. The development partner may want or demand parking, which is why the architects leave open the possibilty of underground parking. Hilary pointed out that this is very expensive, and would affect the finances and be likely to reduce the amount of cross subsidy money available for the leisure centre facilities. The Tewkesbury Lodge representative said a survey of their residents emphasised the desire for leisure facilities in Forest Hill, we already have a lot of new residential buidlings. Cllr Best explained that building elsewhere in Forest Hill was by private developers, and the the Council needs receipts from building on this site to be able to afford anything more than a very basic building (i.e. Option 1). It was felt important that the recent history of the Pools be included in the information given including the results of the previous consultation, and the surveys. Drawings of the streetscape would need to be included to show how the facade might look, as many FH residents are unhappy about proposed changes to this. A leaflet to all residents explaining the history of the pools and the need to redevelop will be delivered to all households. We all know how difficult it is to use our busy station if you’re disabled or pushing a pram. But the situation is getting a lot worse for all of us. Southern Railways is closing the gate on the Perry Vale side of the station for much of the day. Southern Railway’s original plan was to close the gates in early June, opening them only between 3pm and 8pm when ticket inspectors would manually check everybody's ticket as they left the station. Outside of these hours, the gate would be locked to prevent people evading their fare. The Forest Hill Society has managed to get a small concession from Southern which will allow the gate to remain open after 8pm when the station is unmanned. But this failed to appease people at the General Meeting who were shocked that anyone from the Perry Vale side travelling southbound in the morning would need to use four sets of stairs to get to the platform! The Chairman of the Forest Hill Society, Michael Abrahams, has written to Southern Railways (the letter was copied to Len Dowd MP, Len Duvall MLA, London Travel watch and local councillors) to draw attention to the problems caused by their plans. 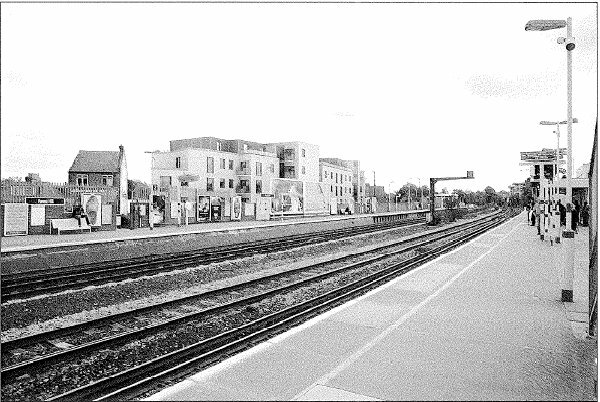 At a recent General Meeting of the Forest Hill Society, we listened to views of local people who make use of Forest Hill station and, while they were pleased that the gates would continue to be open after 3pm, there was an overwhelming feeling that shutting the Perry Vale entrance before 3pm was not in the interests of passengers. For many passengers heading south, towards Croydon and Victoria before 3pm this will mean they will need to use four sets of stairs to access platform 2, at a time when we are meant to be seeing improvements in accessibility. This retrograde step goes against accessibility improvements that are more widely planned on the railway. There are similar gate closures at Sydenham Station so, once again, we shall be joining forces to campaign against this reduced access. Michael and the new Chair of the Sydenham Society, Tim Lund, have written jointly to Jim Dowd MP asking him to raise the matter at the Department for Transport, urging ministers to recognise that access to stations is a vital element of renewing franchises. There is some discussion of opening up a new exit into Perry Vale Car Park which would avoid the steps completely. One of the problems with this plan, however, is the gradient which is, apparently, too steep for wheelchairs. It is, however, an option which the Forest Hill Society would like to see fully explored. Perhaps ironically, the 'ACCESS FOR ALL' footbridge at Forest Hill Station has got beyond the planning stage and will most likely be built and operable in the next eighteen months. There will then be a lift at both ends of the bridge. But constraints of, for example, platform width, mean that the new bridge will be in the same general area as the current bridge. Our campaign to save our train services was a huge success thanks to your support. Let’s see if we can do it again by backing the Forest Hill Society’s campaign to keep the gates open. 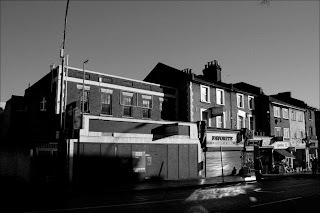 Things are moving fast in Forest Hill and so writing my introduction is harder than usual as I am writing it in mid-May. So apologies if anything is a little out of date and keep checking our website for more information www.foresthillsociety.com. We were pleased that council officers were able to come to our May General Meeting to talk about their plans for Forest Hill Pools. We hope that before demolition begins we have a proposed building that is acceptable to the majority of local residents and plans for a pool truly fit for the 21st century. We will keep you updated about this important issue. We want to make sure your views are heard. Southern Rail are planning to install ticket barriers at Forest Hill and Honor Oak Park stations this June and although this would seem like a good development there are still a few concerns regarding their plans for limiting access from Perry Vale to Forest Hill station. The ticket barriers in the ticket offices will take Oyster cards, but will not accept pre-pay Oyster cards until 2010 in line with the plans for pre-pay roll out across the London train services. We continue to remain concerned about access to Forest Hill station from the Perry Vale side and will be lobbying hard on this issue. Both the pools and the train services are big ways in which we expect to see improvements in Forest Hill but we also want to see improvements to our high streets. One of the keys ways for this to happen is for us all to SUPPORT LOCAL BUSINESSES. The Forest Hill Society is taking an active role in encouraging this by setting up The 23 Club. More about The 23 Club inside this newsletter, but to give you the basics it is your chance to help support local restaurants and at the same time meet other people, like you, who are passionate about Forest Hill. I hope to see you on the 23rd June at Kafe La for the first 23 Club. With Forest Hill Day, Blythe Hill Fields Fun Day, and open days at Devonshire Road Nature Reserve and Havelock Walk all happening in June, this month is a great reminder of why Forest Hill is such a great place to live. We hope to see you at many of these events. We're having our first ever Forest Hill Society Summer Barbecue on Saturday August 23rd at the Perry Hill pub. This is a lunchtime 23 Club event so one for the whole family to enjoy. As a final note, looking forward to the Autumn and our AGM, we would be delighted if members would be interested in getting more involved in the Society - helping with deliveries of newsletters, joining one of the committees (transport, development, communications, Executive), or taking over from me in chairing the society. There is lots to do so please get involved. If you want more information about ways you can help, please feel free to email or call me at any time. 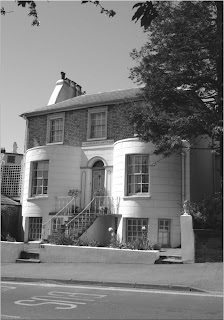 Lewisham Council is conducting a review of the Forest Hill Conservation Area. The Council has been reviewing two conservation areas each year. This year it's our turn and the conservation area could be extended. Forest Hill has a large conservation area covering the centre of Forest Hill and it includes both residential and commercial areas. See the map for the boundaries. The review will include a boundary review, proposals for buildings to be 'locally listed', management proposals to preserve and enhance the area, and a character appraisal document. This document will summarise the area's history and describe the characteristics that make the area special. It will also contain examples of things that detract from the area's character and which could be improved. The Council will use the document when assessing development proposals in the conservation area, to ensure that new developments are suitable. We look forward to seeing the character appraisal, as Lewisham's style of document consists of a large colour booklet containing historical maps and pictures, along with photos of interesting local features, such as traditional housing-style, old shop-fronts and decorative brickwork. The chairman of our Development Sub-Committee, Jeff Lowe, met the consultant working on the review to discuss the conservation area on behalf of the Forest Hill Society. The consultant indicated that he would recommend the conservation area be extended up Dartmouth Road to the Library on one side and to the end of the shopping parade on the other side. He will also recommend that the boundary be extended onto Perry Vale to encompass the small parade of shops (from Finches ski shop downwards). A report will be issued in September and public consultation will be organised for the autumn. The Mayor of Lewisham will then consider the proposals by March 2009. As part of its consultation process on the development of Forest Hill Pools, Lewisham Council has set up a stakeholders group which meets regularly to represent the community and give feedback. 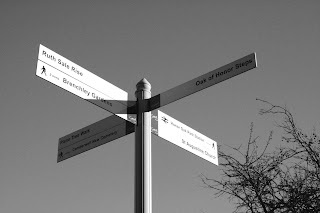 The Forest Hill Society is one of the stakeholders, alongside the Sydenham Society, Saxon Crown swimming club, Holy Trinity School, local councillors and others. The second stakeholder meeting took place at Forest Hill School on 15th May 2008. The Council has identified £7.5 million from its own internal budgets for the project. This does not rely on government or any other grants for building. The project will include housing. They have asked the architects, HLM, to look at three different scenarios: high, medium and low density housing, with the intention of raising about £2 million from this. The more housing, the more facilities they would be able to include. Housing would not be built until the Pools building is finished. · An historical surveyor visited the pools in May. It’s expected that some historical features of the façade and building will be incorporated in the eventual design. · The plan now is to demolish the pools in August. Apparently, it is costing £100,000 p.a. in security and power to keep the building up. · HLM Architects have been appointed and have begun the initial design work. The basic design will include a six lane, 25 metre pool with an additional training pool. They have been asked to come up with three different designs for the development. But the only difference between each design will be the density of housing. It seems that, at this stage at least, there will be no consultation on the initial draft drawings of the leisure facilities themselves. Local people will get a chance to review these three options in June, probably in the form of an exhibition in Forest Hill Library. This will then be put before the Mayor and the cabinet in July. This is later than the 2010 we were originally promised and the councillors at the stakeholders meeting were unhappy about this. It will be difficult to provide parking at the pools. Underground car parking would be prohibitively expensive. Apart from disabled parking and a coach drop-off for schools, some stakeholders felt there should be no - or minimal - parking to discourage car use. Not everyone thought this feasible. Stakeholders put forward various suggestions for the development including: community room, crèche, hydrotherapy, disabled access above DDA compliance, café, exhibition area. You can find out the latest developments on this website or the Lewisham Council website. Regular updates will be posted on the notice board in Forest Hill library. You can also become part of Annette Stead’s email group by emailing annette.stead@lewisham.gov.uk She is happy to receive comments and keep you updated. Saxon Crown Swimming Club is the only competitive Swimming Club in Lewisham with around 250 swimming members. As well as offering lessons and training for swimmers from the age of 5 and a masters group for adult strong swimmers, it has a busy Disability section, swimmers from which have represented England at European level. Until its closure, Forest Hill Pools was one of the club’s main training venues. The Club is a stakeholder involved in the consultation process and has strong views about the future development of Forest Hill Pools, as the Club secretary, Sophie Wheeler, explains. It really makes a difference to our swimmers and coaches if they are working in clean, well-designed pool facilities. External appearances are probably less important to us than internal use of space. Saxon Crown would really benefit if there were a minimum of a training pool and a main 25-metre pool. The main pool should be at least 6 lanes wide and at least 1.2m deep in the shallow end for safe turns and dives. Our swimmers will need good quality anti-wave lane ropes, starting blocks and backstroke flags. Our priorities will also be for wide poolside walkways for both main pool and training pool as well as storage. The swimmers need ample changing facilities and their parents/supporters need somewhere to sit and watch and maybe gym or other facilities for them to use while waiting for their children to swim. We would really appreciate special facilities for disabled swimmers, including hoists and wheelchair-friendly changing facilities. A viewing gallery with seating for over 100 people would be useful if we were to host a swimming gala. If you are interested in finding out more about Saxon Crown Swimming Club, please go to www.saxoncrown.org.uk or come to Ladywell Pools on Monday evenings between 6.30-8.30pm (once Ladywell pool is reopened). Next time you're tidying up the garden, spare a thought for the humble nettle. It may be a weed with an unpleasant sting, but it's a vital part of our ecosystem which is why it's actively encouraged at the Devonshire Road Nature Reserve. Some of our favourite butterflies - Comma, Red Admiral, Peacock and Small Tortoiseshell - and several moths use the nettle as food for their larvae. Nettles are the only British plant with true stinging cells formed of silica-rich "hairs" which fracture on contact with your skin. They then release a complex, chemical toxin. There's a very good evolutionary reason for this sophisticated defence mechanism; young nettle leafs are highly nutritious and need to protect themselves from hungry grazers. But, if you're prepared to take a few precautions, nettles are very edible and, of course, they don't sting once they're boiled. In fact, the leaves are rich in iron and calcium. Nettle pudding was recently claimed to be Britain's oldest recipe dating from 6000 BC. Traditionally, nettles have mainly been used in soups in springtime although nettle risotto is also very good (NB - nettles can cause indigestion in some people and you should only use the young leaves). These days, there is interest in the nettles' pharmacological properties and there is research currently into the use of nettles as an anti-inflammatory in the treatment of arthritis. National Be Nice to Nettles Week takes place every year in May so check out www.nettles.org.uk for details. And if your appetite for stinging nettles has been whetted, there is a pub in Dorset (The Bottle Inn) which runs an annual World Nettle Eating Competition which this year takes place on June 21st. Last year we featured a community-led project to transform an ugly brick wall on Stanstead Road (the bit that isn't part of the South Circular) into Forest Hill's latest beauty spot. We're now delighted to hear that Rebecca Leathlean's hard work has paid off and the Garden's grand opening should be at the end of July or early August. A community artist is working with local children at the Rockbourne Youth Club to create an art work which will go on the wall itself. Other local children are working on some mosaics for the path. Travis Perkins and Shannons garden centre are supporting the project with cut price and free materials and plants. Update 20th June: More information on the community garden can be found on Love Perry Vale. The Horniman Gardens have developed on a rather ad-hoc basis over the last century since they were first opened to the public. Now the Horniman Museum is developing a 'Masterplan' to guide the development of the Gardens for the next ten to twenty years. Janet Vitmayer, Museum Director, and Kirsten Walker, Head of Collection Management and Special Projects provided an update on the current state of development of the Masterplan at the AGM of the Tewkesbury Lodge Estate Residents' Association on 27th April. The Museum has applied for funding from a number of sources including the Heritage Lottery Fund to support their plans. At the time of the meeting, the Lottery Fund was unable to announce the outcome of the bid because of a pre-election embargo. However, it was stressed that getting the funding would mainly affect the speed with which any development could be implemented, rather than what would eventually be achieved. The current proposals have been drawn up by an independent consultancy, Land Use Consultants, after consultation with users. The Museum is seeking feedback on the proposals over the next few months with a view to coming up with revised proposals by June. Copies of the outline proposal map with a form attached for comments are available from the Museum. Those responding will be invited to take part in the next round of consultation and it is expected that the Masterplan will be finalised in around nine months time. Moving the boundary of the Gardens to encompass the nature trail, where it adjoins the Gardens, with the footpath between Westwood Park and London Road re-routed to run along the line of the railway and into Wood Vale (rather than London Road). The nature trail could become part of a Green Chain Walk from Crystal Palace. Creation of a reed bed and pond area at the northern corner of the gardens with areas managed to increase their nature conservation value. The pond area would be used by school groups for pond dipping. Creating a 'Wild Play Area' using natural materials at the southern end of the nature trail and a 'kickabout' area to the north. Considerable rearrangement of the area around the bandstand including restoration of the bandstand and the Dutch Barn, the provision of high quality surfacing to replace the current asphalt, moving the compost area between the top of the animal enclosure and the Horniman Drive entrance to open up views and improve sight lines from the Avenue and the construction of an education building in line with the Dutch Barn. Restoration of the Sunken Garden and the use of the current African Garden as a 'living collection' area complementing exhibitions in the Museum – this area might be closed outside Museum opening hours. Some members of the Residents’ Association thought the proposals to construct the Education Building and to close the Sunken Garden at times were controversial. There were other concerns raised at the meeting - the possibility that the developments might encourage rodents near housing and the fact that the proposed Wild Play Area was adjacent to the South Circular, possibly the most polluted area of the Gardens. 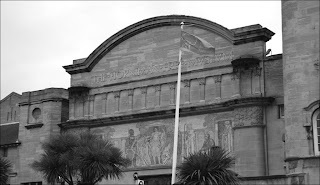 However, there appeared to be general agreement that the concept of a Masterplan was a good one and The Horniman Museum was really trying to take on board comments made during consultation. So, if you feel strongly about the future direction of the Horniman Gardens, do make sure your voice is heard. To encourage you to get to know other members of the Society, and to try our local restaurants, we have set up the 23 Club, meeting up on the 23rd of each month at 8pm. The restaurants will be in Forest Hill and Honor Oak (the SE23 area). The Club is open to members and their guests, to ensure you will meet other members. We will arrange with a local restaurant to take your booking and seat everyone together, or maybe on two large tables. The restaurant will be different each month, enabling you to try out a wide range if you wish. There is of course no obligation to do so, but we hope the idea will be well supported. Please book direct with the restaurant, making clear it is for the 23 Club (or the Forest Hill Society). Everyone orders their own meal and pays for themselves. 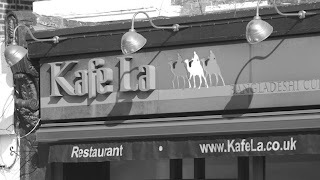 Kafé La: 15 Perry Vale SE23 2NE, 020 8699 2028. This is a Bangladeshi restaurant in the heart of Forest Hill. A great little Italian restaurant in Honor Oak. Perry Hill Pub, 78- 80 Perry Hill, SE23ish. Forest Hill Society Summer Barbeque – this is a lunchtime event which we hope will appeal to families. We need to get an idea of numbers in advance, so please contact Mary by email if you'd like to come along. Future restaurants will be announced in the Newsletters and on the website, and circulated to members by e-mail on request—please contact mary.sutherland@talktalk.net. If you'd ever like to impress your visitors with the greenness of SE23, then we can recommend the walking route from Sydenham Wells Park to One Tree Hill. Well-kept gardens, dense woodland, panoramic views - we have everything on our doorstep. On 25th May, Peter Frost of the Friends of One Tree Hill led this walk in perfect weather - in spite of the torrential rain throughout the morning. It took us two hours at a leisurely pace with lots of stops whilst Peter filled us in on local history, flora and fauna. Without the stops, you could do it in an hour. It's a tricky route to do with a buggy because of the swing gates in Sydenham Woods but the 7 month old in our group certainly enjoyed herself being carried in a sling. 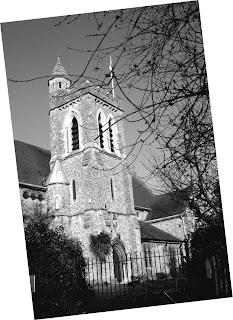 The vicar of St Augustine's on One Tree Hill had very kindly invited us to use the church's facilities at the end of the walk and there were refreshments there as well. There are plenty of buses that go past both ends of this walk so you can certainly leave the car at home. Cllr Paschoud (Perry Vale), Cllr Nisbet (Sydenham) and representatives from the Forest Hill Society and Sydenham Society attended a meeting last night with bus and train managers, as well as Lewisham Council officers and London TravelWatch. Forest Hill station ticket barriers will be in operation from 7th July. At this time the Perry Vale exit will remain closed during the day until 3pm. At 3pm-8pm ticket inspectors will be present on the Perry Vale exit and after 8pm the gate, along with the ticket barriers will be left open when the station is unmanned (Open gates after 8pm is a concession that Forest Hill Society were able to get previously in communications with Southern Railways). Sydenham Station is expected to have the barriers and gates in operation from today. At Sydenham they have a buzzer on the back entrance to enable step-free access to the platform but this is not planned for Forest Hill. Risk assessment for Forest Hill was only done on the new ticket barriers on platform 1, no risk assessment was done on the manned exit from Perry Vale and congestion on the platform. We recommend a policy of self-certification for mobility restricted access to Sydenham platform 1, i.e. if a customer says they need the gate opened the staff should not question this. Customers should not be forced to state their medical condition into an intercom system. Staff are not medically qualified to make such judgments. We need to keep pursuing the long-term Perry Vale car park access to the station. Basic access could be achieved in a few minutes with the demolition of a single wooden fence or removal of a padlock [by qualified professionals of course]. Proper access would take a little longer to achieve. Len Duvall (our London Assembly Member) has written to Mayor Johnson as well contacting the transport authorities directly regarding this issue. London TravelWatch has written to the rail authorities expressing concern about the plans at both Forest Hill and Sydenham stations but have yet to receive a reply. Prompted by demand on se23.com and East Dulwich Forum for the extension of the 63 route to Honor Oak / Brockley Rise, I raised this issue with the bus companies. The 63 route is currently under review and there will be a consultation shortly. This is an excellent opportunity to extend the service and I shall be writing to TfL buses to fully argue the case. 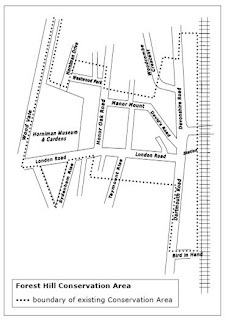 When the public consultation happens members of the public will have the opportunity to express their opinion on this possible route extension which I feel would be of great benefit to local residents wishing to travel between Peckham, Honor Oak Park, and beyond. Horniman Gardens will host the annual Forest Hill Day organised by the Forest Hill Traders Association from 12 noon to 5pm, and Devonshire Road Nature Reserve has an open day running from 12:30pm-4pm on the same day. 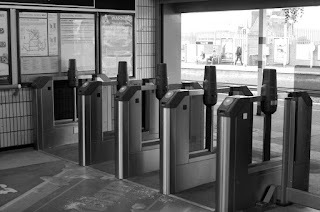 According to the latest information from Southern Railway, this weekend will see the introduction of ticket barriers in Forest Hill station ticket hall. At the same time the Perry Vale gate will be closed for most of the day - possibly even when the ticket barriers are open on the other side of the station after 8pm. The Forest Hill Society oppose the closure of this important access point for people on the Perry Vale side of the station and the inconvenience that will result from the closure. You can also speak to one of the managers from Southern Railway at London Bridge station on 19th June - 7:30am-9:30am. The first meeting of the 23 Club will take place on the 23rd June at Kafe La, 15 Perry Vale. The club is open to all members, their friends and relatives and is a simple idea - to try out restaurants in and around SE23 on the 23rd of each month. This is a great way to support local restaurants and to chat to others with an interest in the local area. If you wish to book please call Kafe La directly to reserve your place 020 8699 2028. Each person is responsible for their own booking and bill. Further meetings of the 23 club will take place on the 23rd of each month and details of the next venues will be published in the newsletter.